Conversations around climate change almost always involve carbon dioxide, with good reason. It’s essential to dramatically reduce this pollutant to drive down the total amount of climate warming our children and grandchildren will experience. But, what we’ve also learned over the last few years is that an effective climate strategy needs to do two things: Reduce cumulative warming and the speed at which this warming is happening. Next to CO2, methane is the most impactful greenhouse gas. While it breaks down faster in the atmosphere than carbon dioxide, methane packs 84 times more warming power for the first 20 years after it’s emitted. About one-quarter of the warming we are experiencing today is attributable to human emissions of methane, with the oil and gas industry its largest industrial source. Fortunately, there are cost-effective strategies to reduce methane emissions across the oil and gas industry. There is nothing as quick, easy, or cost-effective at slowing the rate of climate change right now than reducing oil and gas methane pollution. To effectively combat climate change, it is necessary to cut both CO2 and methane. Alberta gets this, which is why reducing oil and gas methane emissions by 45% by 2025 is a major element of Alberta’s provincial Climate Plan. The federal government and British Columbia have followed Alberta’s lead, incorporating this goal into their respective climate plans. The federal government is set to announce draft regulations for new and existing sources early next year, which, if done right, will be a significant step forward to the global effort to reduce these emissions. And the neighbors are taking notice. In March, encouraged by Canadian action, the U.S. Environmental Protection Agency launched an effort to regulate methane pollution from existing oil and gas facilities; and in June, at the North American Leaders’ Summit, Mexico committed to joining Canada and the United States in reducing Mexican oil and gas methane emissions by 45% by 2025. That the three nations of North America are taking significant action to reduce oil and gas methane emissions is no small thing. Together, Canada, the U.S. and Mexico account for nearly 20 percent of global oil and gas methane pollution. Getting it right in North America can have a big impact globally. A 45 percent reduction in global oil and gas methane emissions can have the same impact on the climate over 20 years as closing one-third of the world’s coal plants and have twice the impact of $1 trillion invested in renewable energy capacity between now and 2030. Closing coal plants and deploying renewable energy are critical to battling climate change, but so is reducing oil and gas methane pollution. And, with Canadian leadership, North America is setting the global bar. The good news is that reducing oil and gas methane emissions is one climate challenge that is easy to meet. In many cases, fixes are as easy as tightening loose valves and repairing leaky equipment. In Canada, the Environmental Defense Fund and Pembina Institute jointly sponsored an analysis which shows that the oil and gas industry can nearly fully achieve a 45 percent reduction for less than one penny per thousand cubic feet of gas produced – cost that won’t break the bank even when oil and gas prices are low, as they are today. The fixes are proven, low-cost and readily available. This is not rocket science, it’s auto mechanics. Even better, Canada also has the opportunity to get a head start in positioning itself as a leading provider of methane solutions. One Edmonton-based company, for example, has deployed over 300 non-emitting solar-electric well control systems at off-grid well sites in Canada. 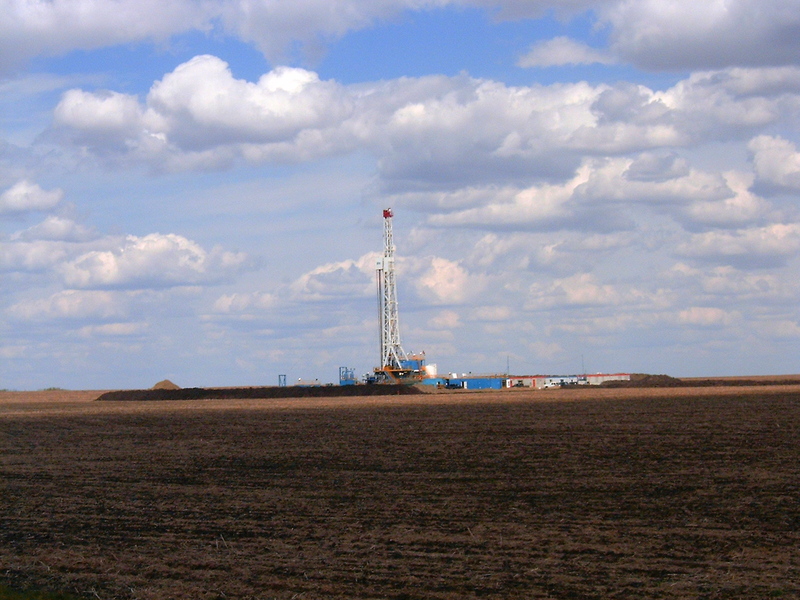 With policy actions to reduce methane, companies working in this area are sure to benefit as demand for this equipment and these services is expected to rise, both in Canada and internationally. At a time when voices are rising in opposition to oil and gas development because of concern over climate change, it’s hard to believe that oil and gas companies and countries wouldn’t take every available opportunity to reduce greenhouse gases when and where it could, particularly, as in the case of methane, when it is so comparatively easy to do. Jurisdictions, like Alberta and Canada, that move early to tackle oil and gas methane emissions as part of their integrated climate plans, are taking a strong leadership position on climate. By taking the next step to enact the federal and provincial regulations needed to make good on the commitments made, Canada as a whole can provide a roadmap for other oil and gas producing nations to follow. This entry was posted in General, Methane, Natural Gas and tagged Canada, global methane. Bookmark the permalink. Both comments and trackbacks are currently closed.